University of Rochester received a A.
U.S. News & World Report's ranking of 33 out of 201 of National Universities was a major contributor to this grade. "The "tough" but "extremely rewarding" University of Rochester has traditionally been known best for math and science but the "home of the Bausch & Lomb scholars and Xerox" has enough diversity in its academic offerings to "dispel the myth that the U of R is solely an engineering/premed breeding ground." A program called "Take Five" for students who find themselves unable to fit enough courses of interest into a four-year schedule." Describe the type of student who should not attend University of Rochester and explain why. Describe the type of student who should attend University of Rochester. Why? What is a typical University of Rochester student like? Describe the type of person that should attend University of Rochester. What are the top 3 reasons someone should attend University of Rochester? What was a typical University of Rochester student like in high school? Describe the type of person that should attend University of Rochester. 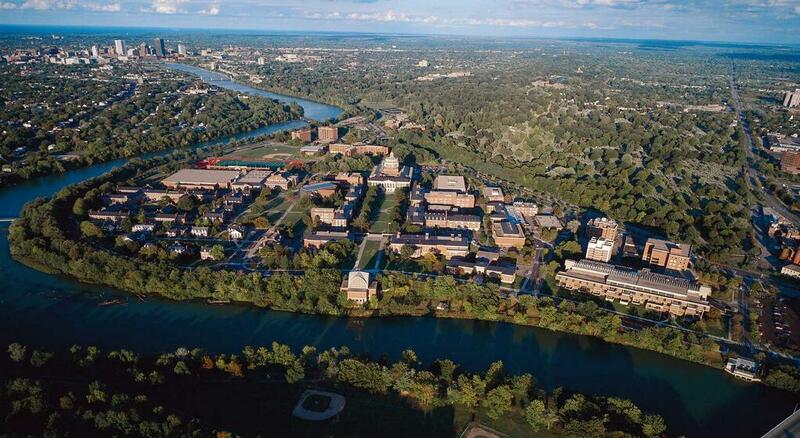 Why should I go to University of Rochester? What were your top five reasons for going there? Has a scientific bent and a strong reputation for churning out premeds. Classes offered at UR may be harder than those at the average party school, but students find them rewarding. Rochester is looking for students who will fit well within the school's academic environment. A strong scientific reputation, but is also known for its music program, in the Eastman School of Music. The University of Rochester is one of the country's leading private research universities. It consistently ranks among the top in federally financed science, engineering, medical, and other research. Along with this rigor, Rochester operates on a personal scale, creating exceptional opportunities for undergraduate research, close work with faculty, and interdisciplinary study. The unique Rochester Curriculum invites students to study what they love, allowing for both focus and flexibility. The University’s mission is to Learn, Discover, Heal, Create—and Make the World Ever Better. Through individual endeavors and collaborative efforts, our students and faculty work toward this goal each day, improving themselves, each other, and our shared learning environment in the process. Learn, discover, heal, create - and make the world ever better. What are the top 3 things that students do for fun at University of Rochester? What's your experience with University of Rochester housing like? Many useful resources they had updated for the universities to experience housing assignment writers australia reviews. Then everything will be good for the content writers and essay editors of this blog. What University of Rochester clubs and student organizations do you recommend? Wrong school? Go back and fix it! You will have a chance to review your answers before entering the contest, and are always able to edit previous answers from your profile. What do students do for fun at University of Rochester? How did you choose your major at University of Rochester? The average student pays $31,499 for tuition, fees, and other expenses, after grants and scholarships. Total stated tuition is $44,580, in-state and on-campus, before financial aid. Learn more about financial aid at http://enrollment.rochester.edu/financial-aid/. Estimate the net price for you at http://enrollment.rochester.edu/financial-aid/estimator/. 76% of students graduated on time. The typical (median) early career salary of University of Rochester graduates is $48,800, according to Payscale. University of Rochester participates in the NCAA Division III for college athletics. Want more info about University of Rochester? Get free advice from education experts and Noodle community members. How do the students often make use of the Counseling Center at University of Rochester? Are there preppy kids at the school?